Item Sold -This item is a one-of-a-knd creation. 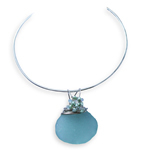 Revisit Eco1stArt.com regularly for similar items by this artist. 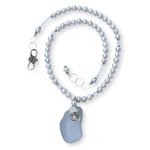 This elegant bracelet is stunning paired with the necklace. 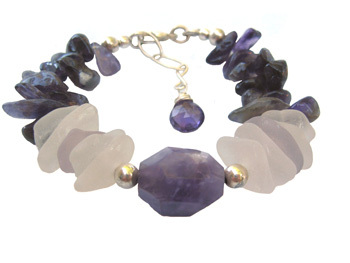 It is made up of natural Amethyst large top drilled abstract beads. The center focal point is a faceted raw amethyst bead. 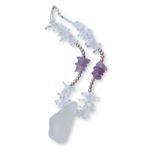 Four white pieces and one lavender sea glass piece flank each side. There is a sterling silver and a deep purple faceted briolette stone that dangles from the end.